Thanks to Jessica Weidner for the picture below. She took this Friday evening on the NW side of the metro as a long of strong thunderstorms rumbled through. Trees and power lines were reported down in Atwater as the line moved through there. Much of the metro just saw gusty winds, heavy rain and lots of lightning. Take a look at the incredible image from @geraldferguson on Twitter who is a news helicopter photographer for Chopperguy.com - this Haboob or dust storm blew through Phoenix, AZ Thursday evening after monsoon thunderstorms developed across the region. These walls of dust develop along the leading edges of thunderstorm outflow winds, which are more common during the monsoon season in the Southwest. Not only are damaging wind gusts possible with haboobs, but reduced visibility can cause MAJOR problems for motorists and can lead to accidents. Saturday won't be quite as warm as it was on Friday, but it will still be a bit sticky with dewpoints in the mid to upper 60s. There will also be widely scattered showers and storms in place across the state, some of which could be strong to severe. Here's a look at the weather as we head through the weekend ahead. Scattered showers and storms look to continue across the Upper Midwest and our unsettled weather continues. Spotty strong to severe storms along with locally heavy rainfall. 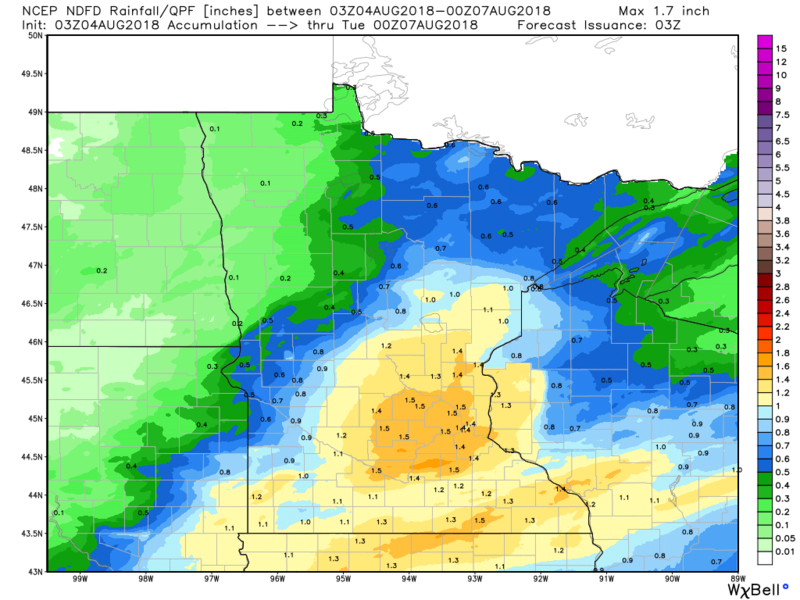 NOAA's NDFD suggests heavy rainfall potential across much of central and southern Minnesota through the weekend and early next week. Several round of storms could produce up to 1" to 2" of rain in some spots. Localized flooding can't be ruled out. According to NOAA's SPC, there is a risk of strong to severe storms across parts of the state on Saturday and Sunday. 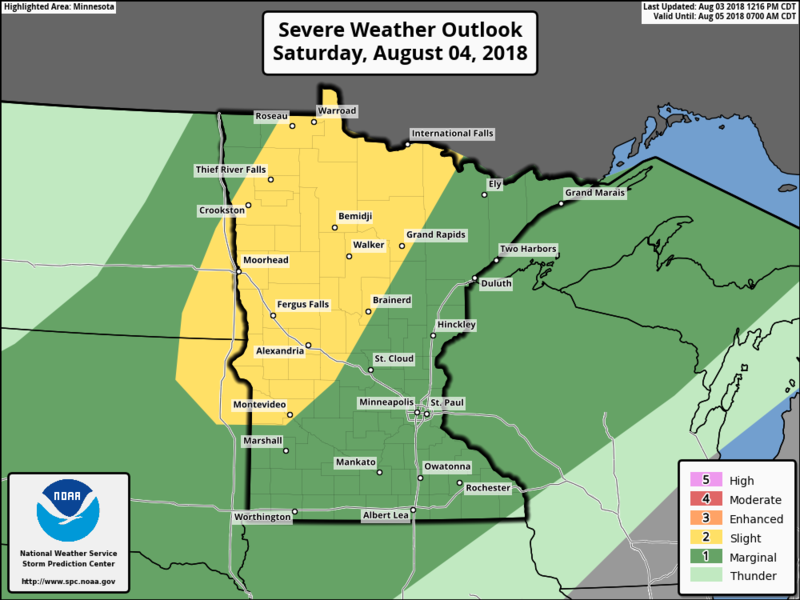 The best chance looks to be on Saturday across parts of western and northern Minnesota, with large hail and damaging winds being the primarty threat. The symptoms of a warming climate are no longer subtle. Heat waves that would have formed naturally are longer and stronger, with more records falling by the wayside. Europe is reeling from a run of extraordinary heat. Some towns in southwestern Spain and southern Portugal are forecast to see 116F today. That's the air temperature, not the heat index. An analysis of the blaze near Redding, California suggests a legitimate "fire tornado" reached EF-3 strength recently, with estimated winds as high as 143 mph - strong enough to twist/collapse large high-tension electrical towers. 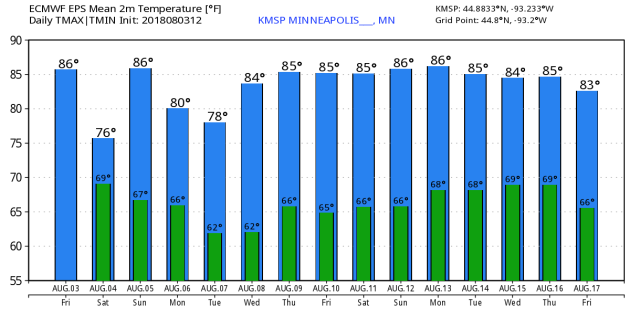 We just get a taste of the heat here at home in the coming days, with a string of 80s into next week. 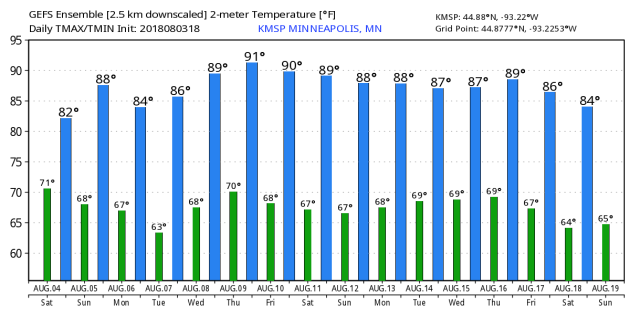 Weather models hint at 90F next weekend. This weekend? Have a Plan B, especially today. It's ripe for bands and clusters of T-storms; some packing locally heavy rain. Today won't be an all-day wash-out, and Sunday looks a notch better. Much of America will bake in the 90s and 100s this month, but a parade of cooler, drier Canadian fronts will dribble cool air southward. Thank you Canada. SATURDAY: Muggy with T-storms likely. Winds: SW 10-15. High: 80. SUNDAY: Partly sunny, warmer. Stray T-storm. Winds: SW 7-12. High: 87. 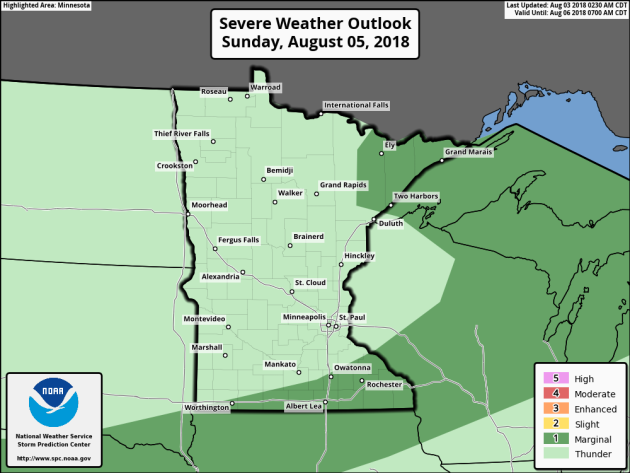 MONDAY: More T-storms central and southern MN. Winds: SW 5-10. Wake-up: 68. High: 84. TUESDAY: Sunnier, drier - quite pleasant. Winds: NW 5-10. Wake-up: 65. High: 83. WEDNESDAY: Plenty of sticky sunshine. Winds: SW 7-12. Wake-up: 67. High: 87. THURSDAY: Blue sky, still quiet out there. Winds: N 5-10. Wake-up: 69. High: 86. FRIDAY: Sunny, bordering on hot. Winds: E 5-10. Wake-up: 68. High: 89. 1898: Storms dump 4 and a half inches of rain on Montevideo. After an extremely hot start to the week last week across the Pacific Northwest, temperatures will be a little closer to average there on Saturday. Meanwhile, the bubble of heat will move into the Central US with highs in Chicago nearly 10F above average! Over a dozen large wildfires continue to burn across California, destroying numerous structures and causing new evacuations. The Carr Fire near Redding continues to be the largest, ranking as the 6th most destructive wildfire (destroying at least 1,555 structures) and the 20th largest wildfire in California recorded history as of Thursday evening. Meanwhile, the Mendocino Complex has consumed 125,168 acres. Heavy rain that fell Thursday evening in Lynchburg, VA, has overtopped the College Lake Dam. While the dam has not failed as of this time, emergency officials are closing monitoring it for any signs of structural failure. 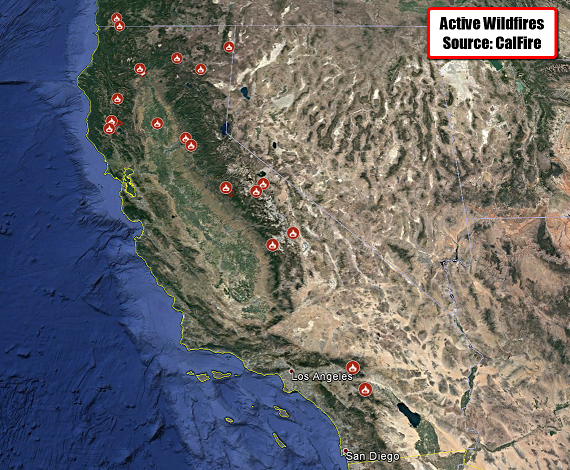 California Wildfires Continue To Burn. Over a dozen large wildfires continue to burn across California, destroying numerous structures and causing new evacuations. Hot, dry and windy weather will continue to create difficult firefighting conditions across the region, allowing these fires to spread as we head through the day and into the weekend. Calfire has more on the wildfires burning across the state. Carr Fire. The Carr Fire burning near Redding, CA, has burned 126,913 acres and was 37% contained as of Thursday evening according to CalFire. This fire ranks as the 6th most destructive wildfire (destroying at least 1,555 structures) and is currently the 20th largest wildfire in California recorded history. While some repopulation of evacuated areas is occurring, CalFire says that low humidity values and atmospheric conditions are increasing fire behavior. CalFire has more on the Carr Fire. Mendocino Complex. 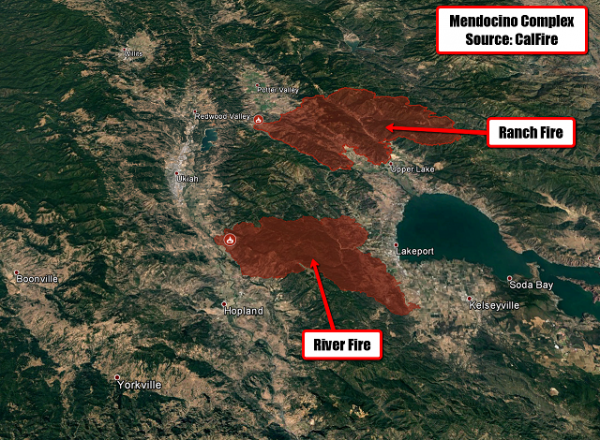 The Mendocino Complex consists of 2 separate fires - the River Fire and the Ranch Fire – east of Ukiah, CA. 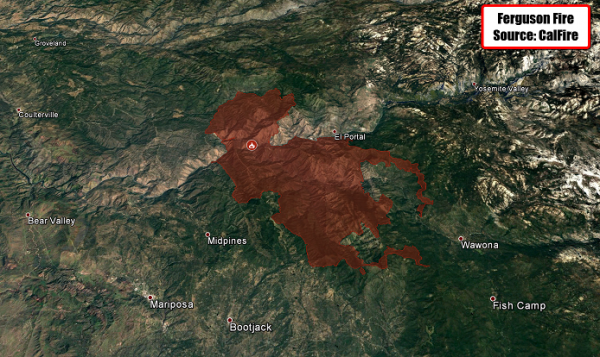 Combined, both of these fires combined have consumed 125,168 acres and are 39% contained. New mandatory evacuations were declared Thursday in western Lake County. This complex threatens 8,200 structures and has already destroyed 33. Due to the heat and terrain, the Mendocino Complex continues to grow. CalFire has more on the Ranch Fire and River Fire. Ferguson Fire. 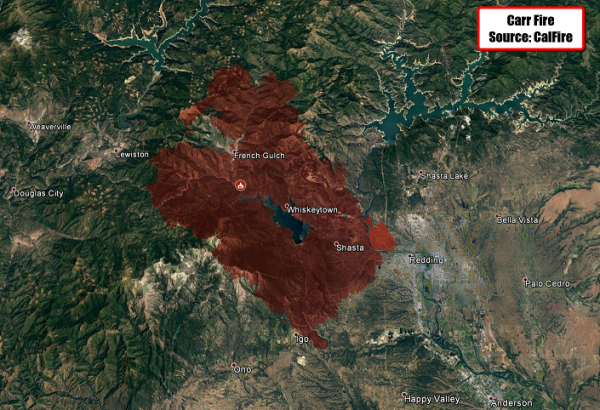 According to Inciweb, the Ferguson Fire burning near Yosemite National Park has consumed 68,610 acres and is 41% contained. Firefighters worked on Thursday to contain spot fires around the fire, including those that caused an evacuation of Wawona Wednesday. Warm and dry weather is expected to increase fire behavior. Inciweb has more on the incident. Cranston Fire. 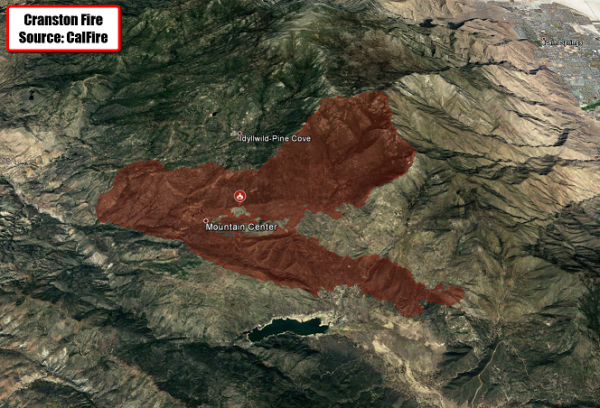 The Cranston fire - burning nearly Idyllwild - has consumed more than 13,000 acres and is now 96% contained. All evacuations have been lifted. Inciweb has more on the fire. 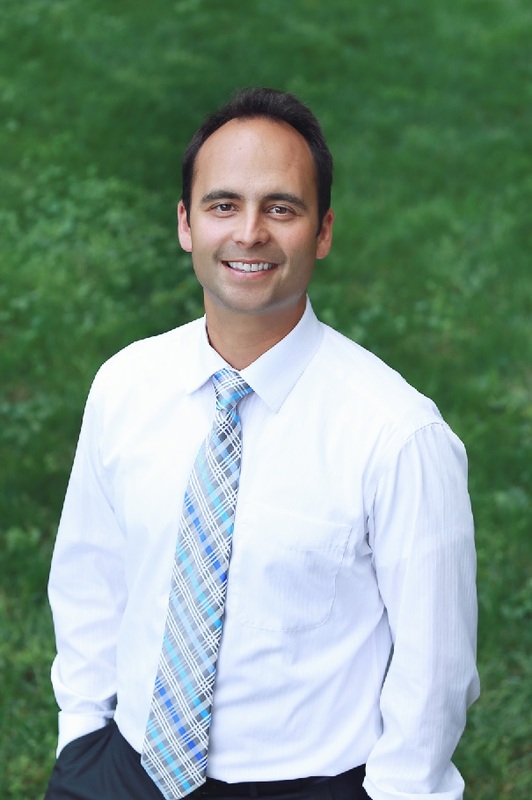 Air Quality Concerns. 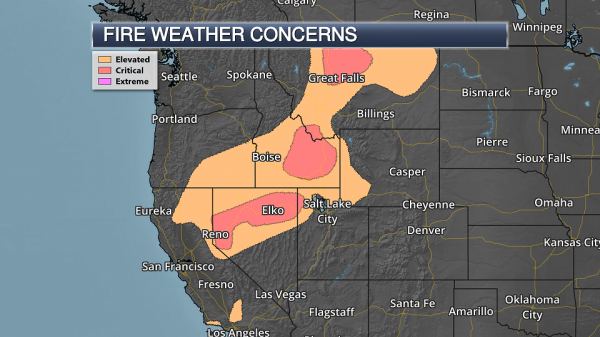 A by-product of wildfires will continue to be smoke and dangerous air quality, which is covering a wide area across the western United States. The most dangerous air quality is in close proximity to the fires, where air quality alerts have been issued. Keep in mind that exposure to particle pollution can cause burning eyes, a runny nose, aggravated lung disease, asthma attacks, acute bronchitis and an increased risk of respiratory infections. Limit outdoor activities and follow medical advice if you have a heart or lung conditions. Evacuations In Lynchburg, VA. Evacuations of 124 residents have occurred near the College Lake Dam in Lynchburg, VA, as officials are concerned that the dam could fail. 4-6” of rain fell in the area Thursdayevening, and due to that heavy rain, the dam has already overtopped with water flowing uncontrolled over Lakeside Drive into Blackwater Creek. 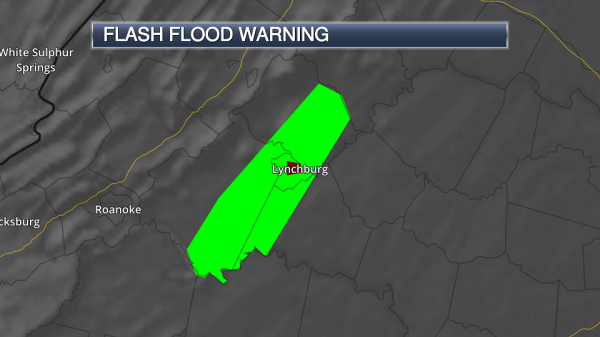 The National Weather Service says that if the dam were to fail, “the water depth in Lynchburg could exceed 17 feet in seven minutes.” As of Friday morning, a Flash Flood Warning was in effect for Lynchburg through 11 AM today, however that could be extended if the threat continues. Flash Flood Watches Continue Today. 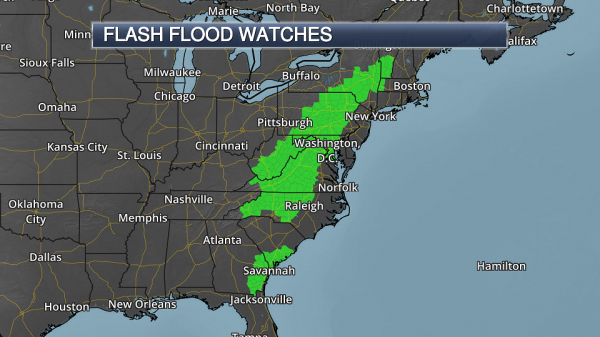 Due to the threat of continued heavy rain today from Georgia to New England, numerous Flash Flood Watches are in effect. Not much additional rain would be needed to cause the potential of flash flooding due to recent heavy rain. 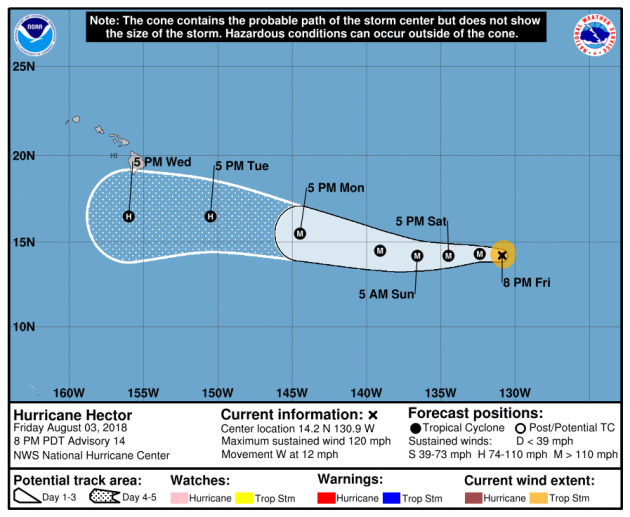 The NHC will continue issuing advisories for Hurricane Hector in the Eastern Pacific, which is the 8th named storm of the season. 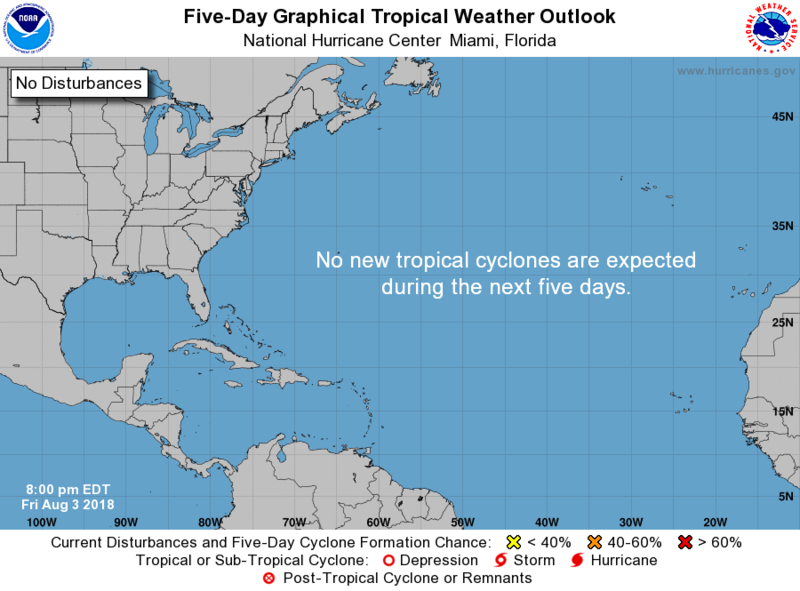 There are also 3 other waves that the NHC is watching, 2 have a high chance of tropical formation over the next 5 days. 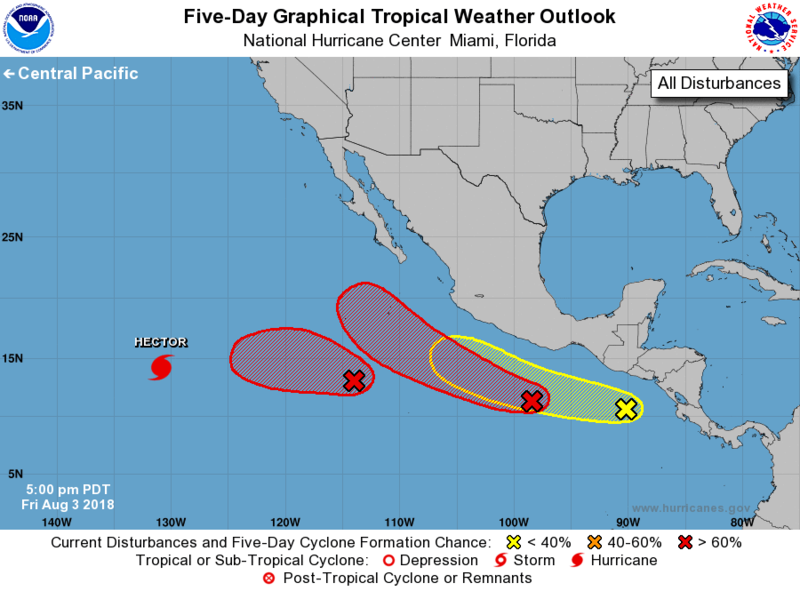 According to NOAA's NHC, Hector became a major hurricane and will continue to drift west over the next several days. Interestingly, Hector could get close to Hawaii by next week! 1.) Heavy rain from far eastern Oklahoma eastward to Tennessee, and far northern parts of Mississippi and Alabama, Mon-Tue, Aug 6-7. 2.) Heavy rain from northeast Texas eastward across the Lower Mississippi Valley, Wed-Thu, Aug 8-9. 3.) Heavy rain for the southern Alaska coast from about Whittier to Glacier Bay, Tue-Wed, Aug 7-8. 4.) 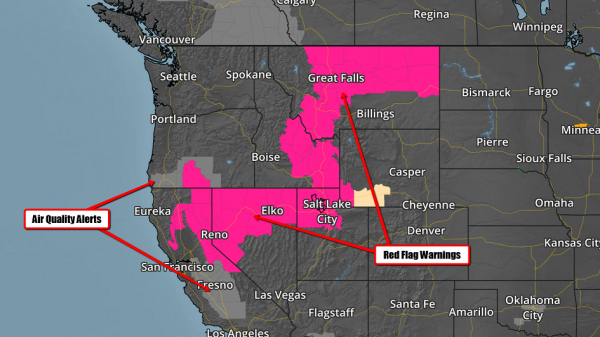 Excessive heat for the northern Intermountain region and northern Rockies, Tue-Fri, Aug 7-10. 5.) Flooding remains possible over the mid-Atlantic. 6.) Flooding is occurring in west-central Florida. 7.) Slight risk of excessive heat for interior northern California, northern and central portions of the Intermountain Region, the northern Rockies, and the northern High Plains, Sat-Sun, Aug 11-12. 8.) Slight risk of heavy rain for the desert Southwest, Sat-Fri, Aug 11-17. 9.) Slight risk of heavy rain for central and eastern portions of Texas, Sat-Mon, Aug 11-13. The temperature anomaly across North America on Friday showed temperatures well above average across the Southwest US and across the Dakotas. Meanwhile, the southern US was dealing with cooler than average temps, which at this time of the year is pretty comfortable. Here's the temperature anomaly as we head through the first weekend of August. Warmer temps will continue through the weekend across the Upper Midwest, but cooler reading will return early next. The weather loop below shows active weather continuing in the Central US over the weekend with areas of locally heavy rain and possibly a few strong to severe storms. Spotty storms will be possible across the Eastern US and especially in the Northeast. 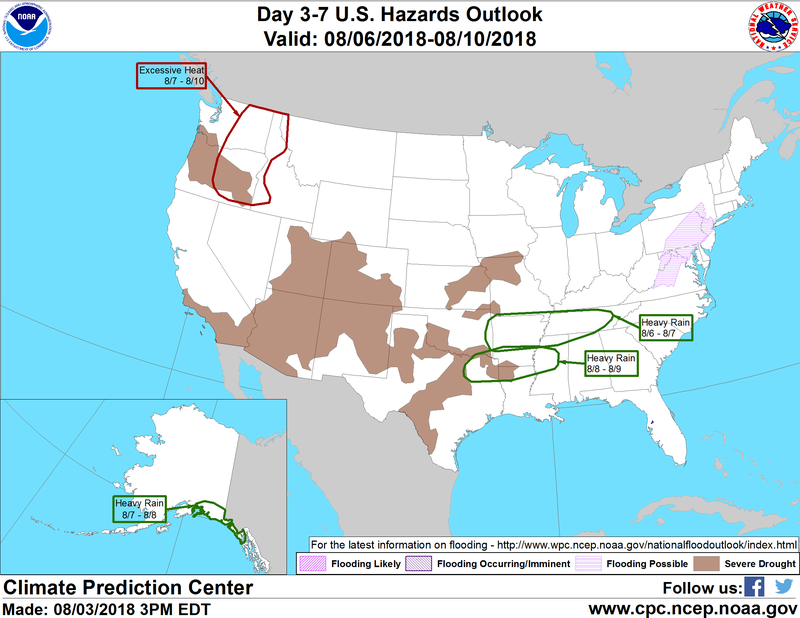 According to NOAA's WPC, the 7-day precipitation outlook suggests areas of heavy rain across the Southern and Eastern US with several inches of rain possible as we head into the first part of August. Lingering showers and storms over the Midwest could bring several inches of precipitation there as well. According to NOAA's CPC, August 11th - 17th will be warmer than average across much of the northern US, but it'll be cooler than average across the Southern US and Alaska. "How Record Heat Wreaked Havoc on Four Continents"
"We talked to people who found themselves on the front lines of climate change this year. Here are their stories. Expect more. That’s the verdict of climate scientists to the record-high temperatures this spring and summer in vastly different climate zones. 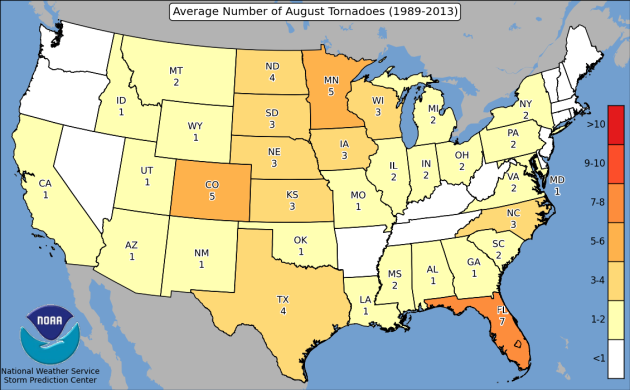 The contiguous United States had its hottest month of May and the third-hottest month of June. 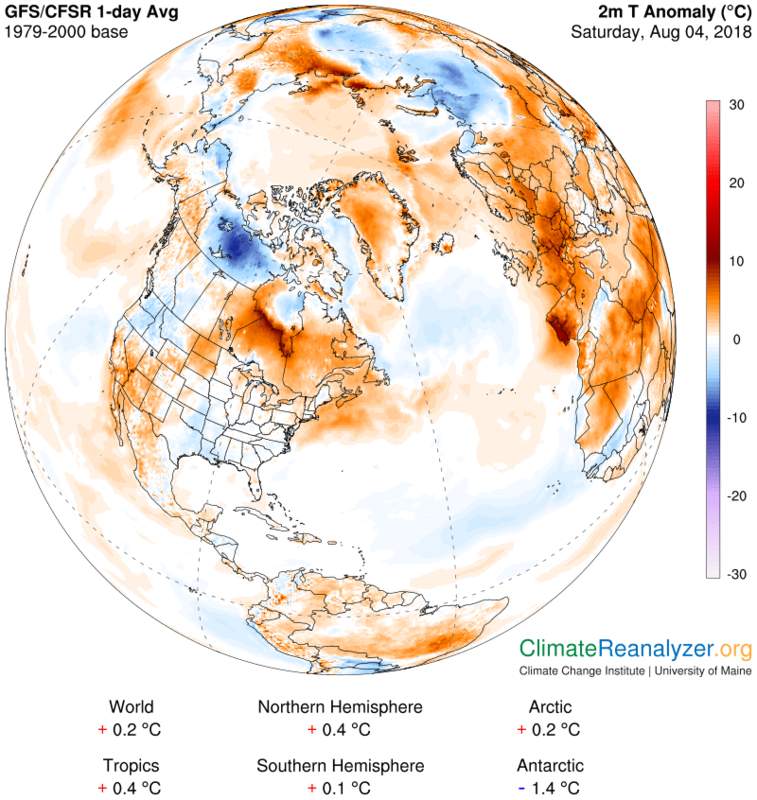 Japan was walloped by record triple-digit temperatures, killing at least 86 people in what its meteorological agency bluntly called a “disaster.” And weather stations logged record-high temperatures on the edge of the Sahara and above the Arctic Circle. Is it because of climate change? Scientists with the World Weather Attribution project concluded in a study released Friday that the likelihood of the heat wave currently baking Northern Europe is “more than two times higher today than if human activities had not altered climate.” While attribution studies are not yet available for other record-heat episodes this year, scientists say there’s little doubt that the ratcheting up of global greenhouse gases makes heat waves more frequent and more intense." "Another El Nino is likely on its way: Here's what to expect"
"Experts say the weather event is not expected to be as bad as 2015-2016. Fires north of the Arctic Circle. Record-setting temperatures in England. More than 60 dead in Japan and 70 in Quebec due to heat-related causes. A fast-moving fire that wiped out an entire Greek town, killing more than 90 people. At the moment, drought and fire are ravaging much of the planet. This past June was the fifth warmest June on record, and the 402nd consecutive month above the 20th century average. And the turbulent weather could continue, as the U.S. National Oceanic and Atmospheric Administration's Climate Prediction Center says there is a 70 per cent chance of another El Nino occurring this winter. El Nino is part of Earth's natural process, characterized by a warming in the Pacific Ocean with repercussions across the globe, including higher temperatures and greater precipitation in various regions." "How Climate Change Contributed to This Summer’s Wildfires"
"The image of the day from nasa’s Earth Observatory shows gusting plumes of smoke veiling the western United States. Two hundred thousand acres are on fire in California, fuelled by strong winds and unrelenting hot, dry conditions. The Carr Fire, in Redding, a hundred and sixty miles north of Sacramento, has incinerated over a thousand structures, most of them people’s homes. Forty thousand people have been evacuated, and six have died. The fire is so large—more than a hundred and ten thousand acres—that it has created its own weather system, making it difficult for firefighters to predict what it will do next.“We have seen extremely explosive fire behavior on this particular fire,” Chris Anthony, a division chief with the California Department of Forestry and Fire Protection, said. “But it’s not unique anymore to what we are seeing on fires in California.” Climate change is slow until it’s terrifyingly fast." "6 Things About Weather Forecasts And Warnings That People Might Always Struggle With"
"Through my lens as a professor and former president of the American Meteorological Society, I know the weather enterprise has developed significant scientific capacity enabling better forecasts and warnings. Yeah, yeah, yeah...we hear the "it must be nice to have a job where you can be wrong all of the time." As I have written before, such statements are often rooted in misunderstanding or misinterpretation of the way forecasts are communicated. Meteorologists and social scientists struggle to understand why a duck boat operator would go on the water with a storm clearly approaching or a person would drive into a flooded road. 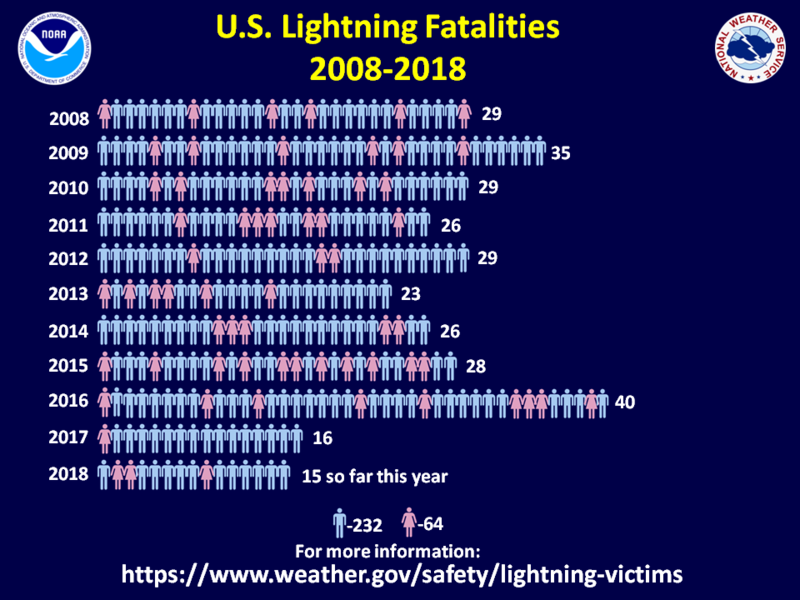 These 6 things about the public might always create challenges with weather forecasts and warnings no matter what we do." "Earth, It Has Been Hot"
"Folks, climate change is still out here messing things up. It brings me no pleasure to report this. For 28 years running, the National Oceanic and Atmospheric Administration has put together its State of the Climate Report. More than 500 scientists from 65 countries contributed to this year’s edition, which was released on Wednesday in the Bulletin of the American Meteorological Society. All that brain power reached a wholly unsurprising conclusion: The climate is a goddamn mess. Last year was the third hottest year on record despite a weak La Niña cooling the tropical Pacific for part of the year. Atmospheric carbon dioxide levels have never been higher in human history. Sea levels also reached new heights, Arctic sea ice was in the gutter, and the upper ocean has never stored this much heat in recorded history. The findings are based on research and analysis that has already dribbled out since the calendar turned to 2018, but the new report collates all of it. Despite all this information being widely known, seeing all the planetary mayhem created by rising carbon emissions is still a bit of a shock. Hell, I read or wrote about most of this stuff, and I’m still floored."